Description 1 photographic print mounted on 9 x 11 in. board ; 6 1/2 x 8 1/2 in. 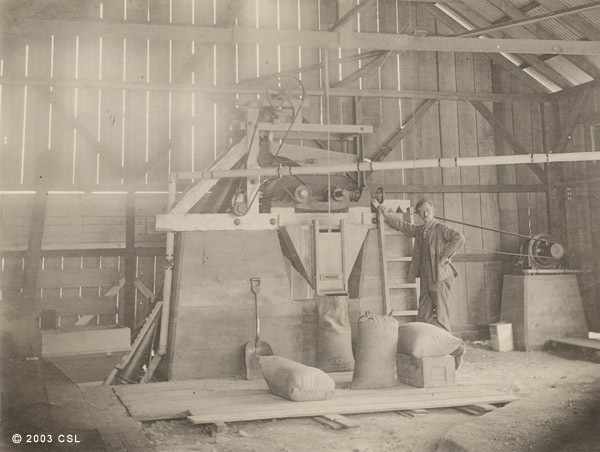 Summary View of Hans P. Jansen standing next to a barley mill on dirt floor just prior to the installation of a concrete floor.